Bombardier, with the backing of the federal and Quebec governments, will fight U.S. government action that would effectively kill the company’s most important deal for the CSeries airliner. The U.S. Commerce Department slapped a 219.3 percent countervailing duty on CSeries sold in the U.S. because it believes that the Quebec government’s decision to buy a $1 billion stake in the CSeries program was a subsidy that allowed Bombardier to sell up to 125 aircraft to Delta Air Lines at below market value. 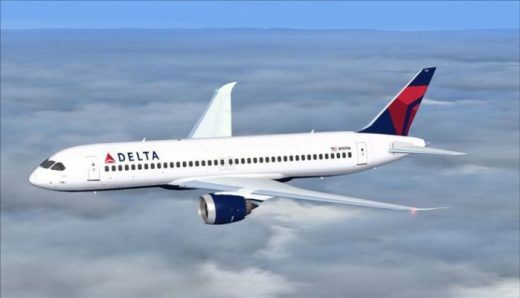 Boeing had only asked for an 80 percent duty and it also did not bid for the Delta deal because it doesn’t have a comparable aircraft. Bombardier has numerous avenues of appeal, including a World Trade Organization challenge, but it’s unlikely that process will be complete or even begun before Delta is supposed to start getting airplanes. That means Delta will have to pay triple for the aircraft and hope to have the duties refunded at a future date. Boeing also lodged a separate complaint under anti-dumping legislation and other decisions assessing the degree to which Boeing’s business has been harmed by Bombardier’s actions. Meanwhile, the federal government is outraged by the action and Prime Minister Justin Trudeau has already said a proposed deal to buy 18 F/A-18 Super Hornets from Boeing will be cancelled unless the trade complaint is dropped. “We will always defend Canadian companies and Canadian workers against unfair and costly protectionism,” Foreign Affairs Minister Chrystia Freeland said. Canada is being joined in the fight by the U.K. because Bombardier makes CSeries wings in Belfast and more than 4,500 jobs are jeopardized by the decision. Bombardier says the U.S. has even more to lose because 22,000 people in 17 states make parts for the aircraft. Meanwhile, Manitoba officials are calling for cooler heads to prevail. Boeing makes parts in Winnipeg and employs about 1,200 people. Other companies in Winnipeg supply Boeing with materials and other goods needed for the plant.